A client recently shared with me that she had a great idea for a business. After accompanying her mother on a difficult six-year health journey – doctor’s appointments, surgeries, rehabs, home health workers – she realized she could do the same kind of things for others. Erica thought the service would appeal to Baby Boomers. With careers and other family obligations, many of them don’t have the time to take their parents to doctor or other health-related appointments. Yet they need to make sure the information they receive about them is accurate. It was a great idea! Erica’s medical knowledge had grown to a point where she could ask intelligent questions. She understood the anxiety that came along with healthcare appointments and had become an expert in comforting an older person through it. Plus, she could relay exactly what was said to the adult child. After a few months of researching, marketing and promoting this new business, she was exhausted. Worse, she couldn’t understand why she wasn’t getting any traction. 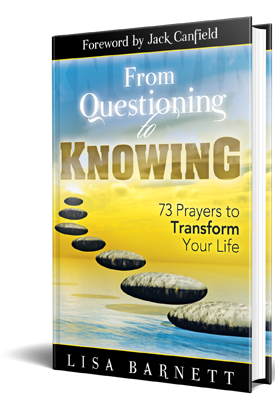 Fortunately, Erica is versed in the ways of the Akashic Records and stopped to ask herself a few questions before she continued. What If Your Idea Doesn’t Serve You? The exhaustion forced her to s-l-o-w down. This helped her to recognize the pattern of acting on an idea before she asked herself if it was aligned with who she is. 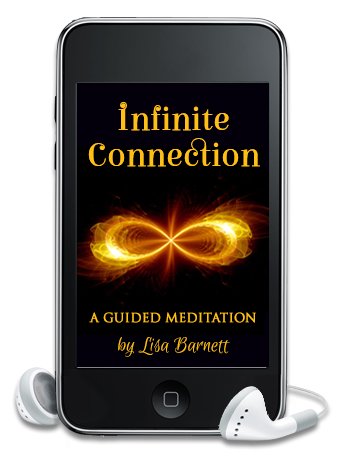 Erica began meditating and asked for help from the Akashic Masters. She was quite surprised at what they had to say. Erica learned she’d spent many lifetimes in service to others. When she was honest with herself, she saw that most of her business ideas involved helping other people. This latest concept was the most intense recreation of her past lives. In this new scenario, she would be involved with elders who are often frightened and fragile. She’d need to convey information that could be upsetting to sons and daughters. She’d likely deal with family dynamics that were unknown to her. Finally, there would be a lot of neediness. None of these experiences would add to her life because her soul plan this lifetime was not to serve but to teach and guide. This type of business would have depleted her. Erica’s ego had a bit of resistance to tossing hours and hours of work out the window. She was attached to her labor, even though the investment hadn’t paid much interest. It was only through working with the Akashic Masters that she began to understand her history, especially the history of her other lives. That’s what led her to the truth. Although this idea could benefit many, and yes it was quite smart, it kept her stuck in a loop. A loop that eventually led to resentment. Because while she was trying to honor contracts from other lives, she was not focused on what she came here to learn this time. Erica realized through her work in the Akashic Records that her purpose this lifetime is to experience fun and joy. This was a concept with which she was completely unfamiliar. Her work had always focused on service to others. She wasn’t sure she could put herself first. It took a while for Erica to change her focus, to shift how she saw herself and step out of the role she’d played. After asking herself what she could do that would be fun, she began to put herself out there in ways she’d never imagined. Several rejections, which she was able to sit with rather than resenting, led her to a new idea. She now uses her creativity in a way that not only makes her happy but brings joy to all of those who work with her. All that changed was her focus. I don’t want to discount the process it took her to arrive here. As most processes are, it was filled with fits and starts, three steps forward and two steps back. But she got here. That’s what matters. Now, when Erica has an idea, she lets it percolate. She asks herself if it’s aligned with her purpose in this lifetime. Now, her labor is rewarding and most times, it doesn’t feel like effort. She still needs to work and prepare, but it flows and because of that, there is no hamster wheel. There is no frustration or confusion. If you’re willing to ask similar questions in your life, I’d love to support you. When you’re able to sit still and connect with your Akashic Records, you can find the answers. Meditation is a fabulous way to get the guidance you seek, and I’d love to share the Column of Light meditation to energetically bring you in resonance with the Akashic Masters. If I can help in other ways, please reach out.